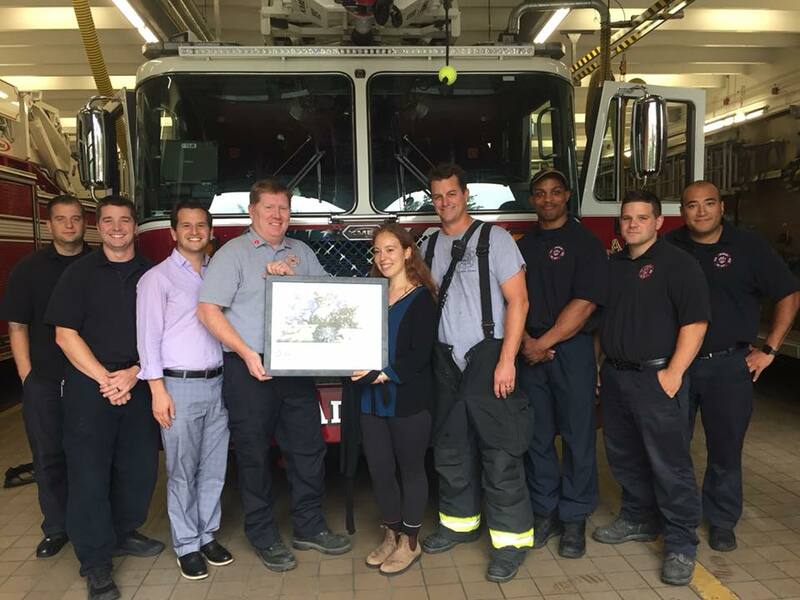 The Jewish National Fund came to Station 5 to present the members with a photo of the 9/11 Memorial in Jerusalem. They wanted to thank the first responders of Brookline for their service. The Memorial is the only Outside the United States that has the names of all of the victims and the base of the monument is made from metal recovered from the twin towers.